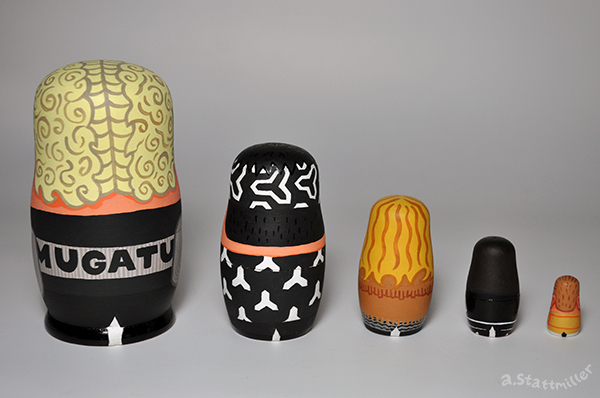 Zoolander nesting dolls in da haüs! 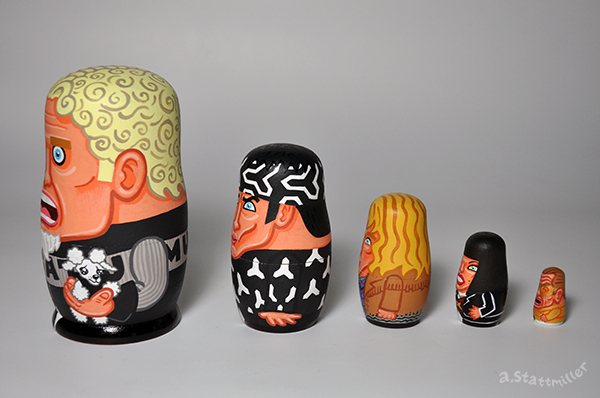 This nesting doll features Mugatu, Derek Zoolander, Hansel, Katinka and Maury Ballstein. This doll is made of wood and hand painted with acrylic paint. The largest doll is 4.5 inches tall and the smallest is 1 inch. 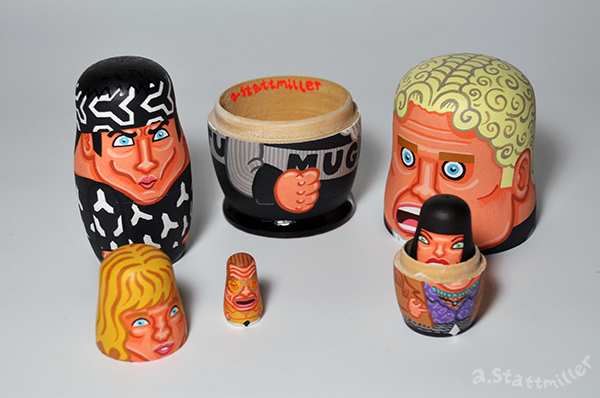 These will be in Gallery 1988's "Really, Really, Really, Ridiculously Good Looking Art Show". The show opens January 9th, 7-10pm and runs til January 30th. More info can be found at Gallery1988's site.